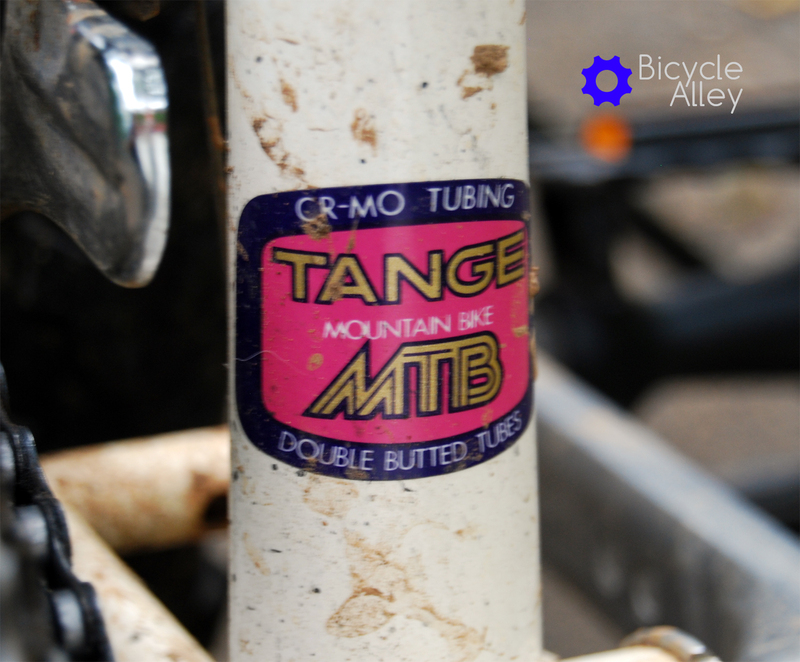 This is an old REI Novara Ponderosa mountain bike. I used the bike quite a few times to go trail riding in high desert area’s around the San Fernando Valley in Los Angeles, and for commuting around the Valley. At one point I even had a Honda GS31 gas powered engine attached to the seat stays for powering the rear wheel. You can see in the photo below how I over tightened the GS31 engine mounting bracket by mistake, and slightly crushed the seat stay tubes on both sides. The reason this happened is the Honda GS31 engine was mounted to the left of the bikes center line and the weight of the engine, being off center, caused a twisting force on the seat stay bracket which eventually caused the bracket to move, so to correct this problem I tightened the bracket a bit without realizing it began crushing the seat stay tubes. On another occasion I installed a 750W electric front hub motor to the front forks. It was powered by a 48 volt sealed lead acid battery pack I installed on the bike using a rear bike rack. 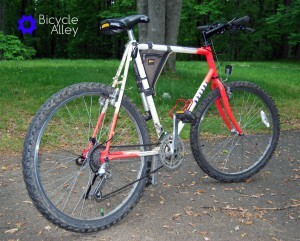 The battery pack must have weighted 35 pounds or more because the weight was very noticeable, and the high center of gravity made using a kick stand almost impossible. This setup didn’t last long because the electric motor produced so much torque it caused the motor axle to spin inside the front fork drop outs while going up a hill. The free spinning axle damaged the forks and electric motor wiring, so I got rid of it. I was able to fix the front forks and go back to human pedal power and its been that way ever since. Now I use the bike for strictly having fun. I have to say its been an excellent bicycle and is much better than the newer version. I ended up buying a 2014 REI Novara Ponderosa 29er mountain bike because I was so impressed with this bicycle, but the newer Ponderosa turned out to be a big disappointed. 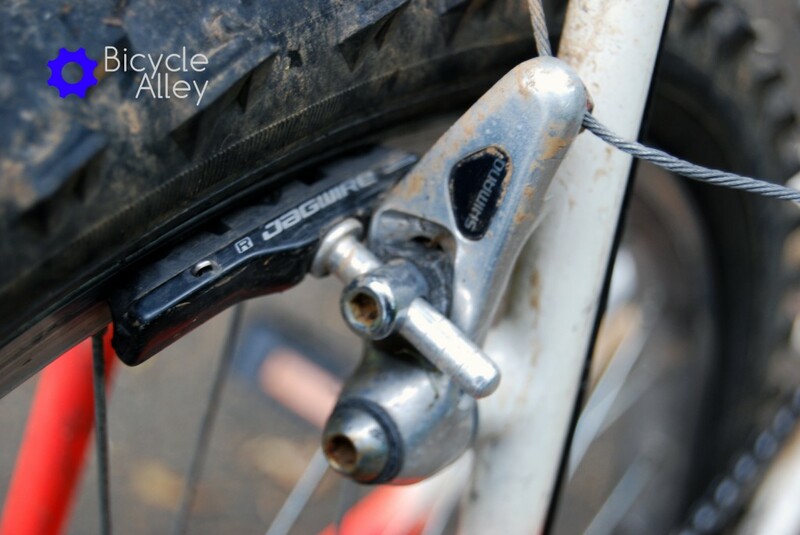 First, the bicycle technician at REI got brake fluid on the brake pads while setting up the new bicycle, which caused noisy and inefficient braking. The rear brake completely went out, and I ended up replacing both sets of brake pads myself. 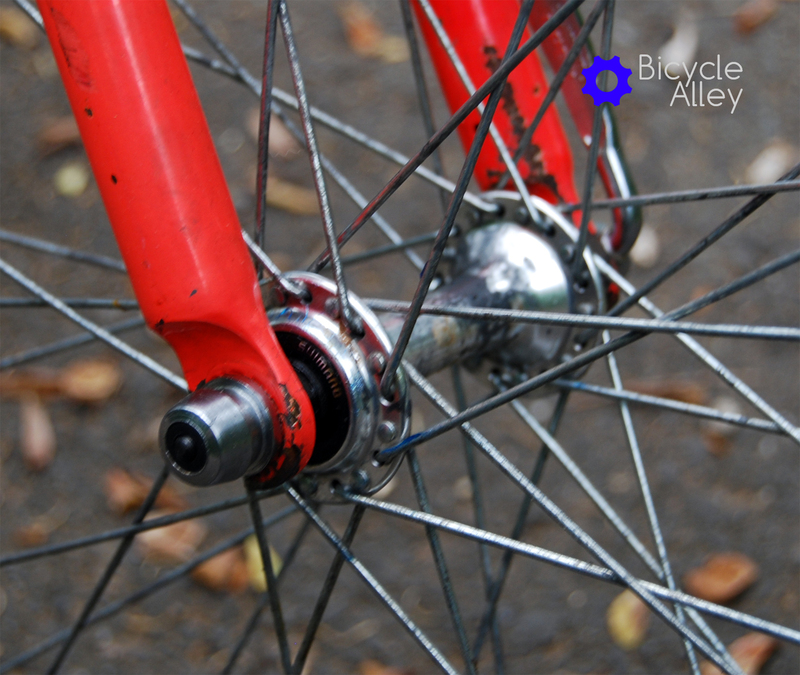 Next the ratcheting mechanism broke in the rear wheel hub making pedaling useless. 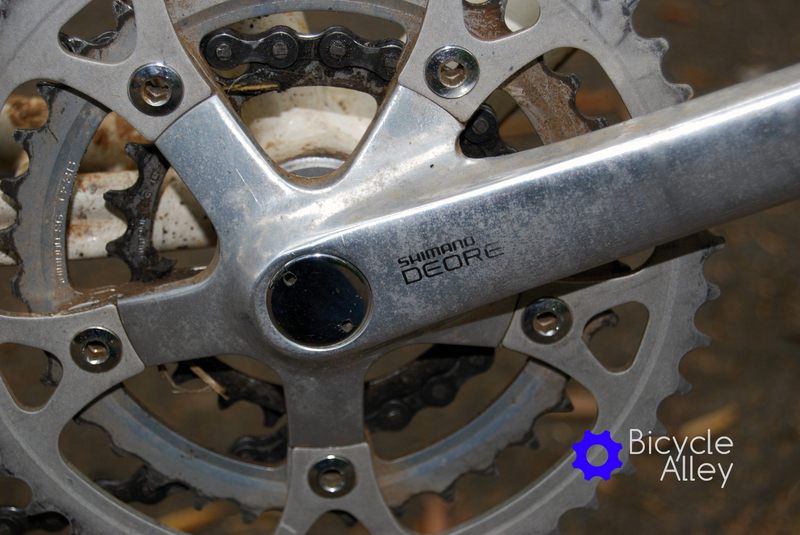 The older Ponderosa mountain bike came with excellent Shimano Deore DX front and rear hubs, but the newer one came with hubs that were branded Novara Series. I think they were just unreliable and cheap Chinese hubs REI branded with their name. I ended up replacing both front and rear wheels with name brand components because I didn’t want the same low quality Novara Series hubs. 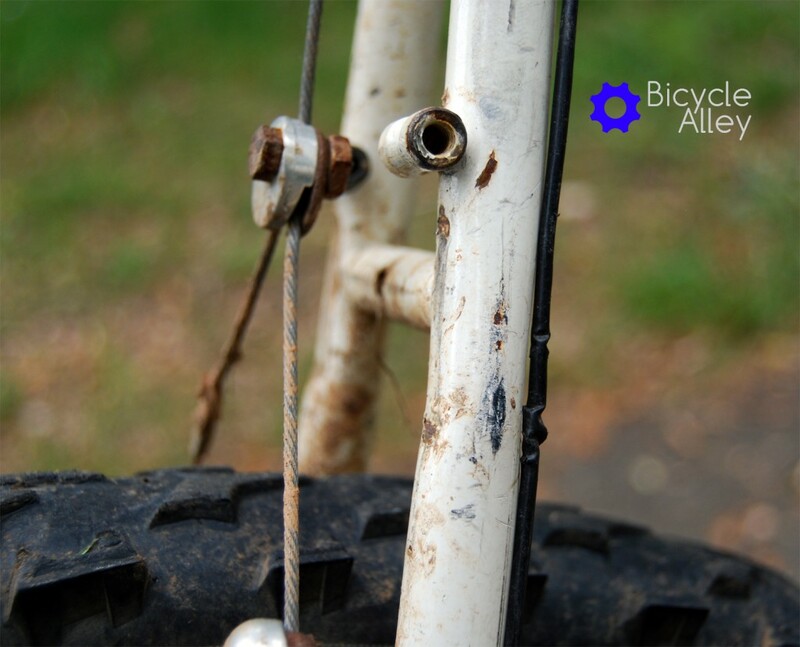 And than, the final nail in the coffin came when the aluminum bicycle frame snapped right near the right rear axle frame drop out. I still haven’t had a chance to deal with the frame problem and right now the bike is out of commission. I don’t think the frame came with any type of warranty and I was told over the phone by REI that whether or not REI will fix, replace or refuse to do anything about the frame is at the discretion of the REI bicycle technician. Great! Probably the same REI bicycle technician who setup the bicycle with contaminated brake pads is going to determine the fate of my bicycle. All the problems I’ve had with the 2014 Novara Ponderosa 29er mountain bike happened during the bicycles first set of tires. That’s right, I never rode the bike enough to wear out a single tire before the bicycle completely cratered. Its no wonder REI discontinued their Novara brand and are now selling REI Co-op branded bicycles. As of right now, I do not recommend buying a REI Co-op mountain bike; quality is unknown, and whether or not REI stands behind their product remains to be seen. When I find out how REI is going to deal with the frame problem I will update this blog. Thanks for reading! UPDATE 7/3/2017: Tried contacting REI through their website using email and never heard back from them. I later found out about the frame after speaking with an REI representative on the phone. The representative told me the bicycle comes with a 1 year satisfaction guarantee. Any issue I have with the frame needs to be evaluated by an REI bicycle technician for any product defects. I wish I had paid closer attention to REI’s bicycle warranty before buying the 2014 Novara Ponderosa 29’er bicycle. Giant, Specialized and Trek brand bicycles offer a solid frame warranty, and I wish I had bought one. UPDATE 7/5/2017 Just made a video about the broken frame and will post on YouTube later this week. I also have some photo’s to post on the blog. While making the video I realized I could have purchased a Walmart 29er mountain bike for around $200 and bought their extended warranty, and I would probably still be covered. And even if I wasn’t covered, I would only be out around $250 instead of $1000. I believe I could ride the heavier Walmart mountain bike exactly how I rode the 2014 REI Novara Ponderosa, and it would not break. In fact, I may purchase a Walmart mountain bike to replace the 2014 Ponderosa, and do a long term review just to see how it performs. Right now I ride the older Ponderosa bike and its still a lot of fun to ride. 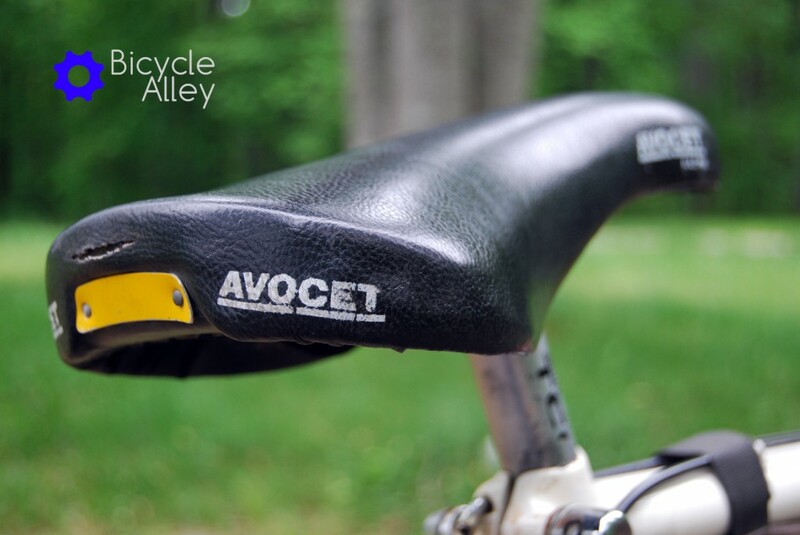 The original Avocet bicycle seat that came with the bicycle. Original cantilever brake arm. The brake pads have been changed. 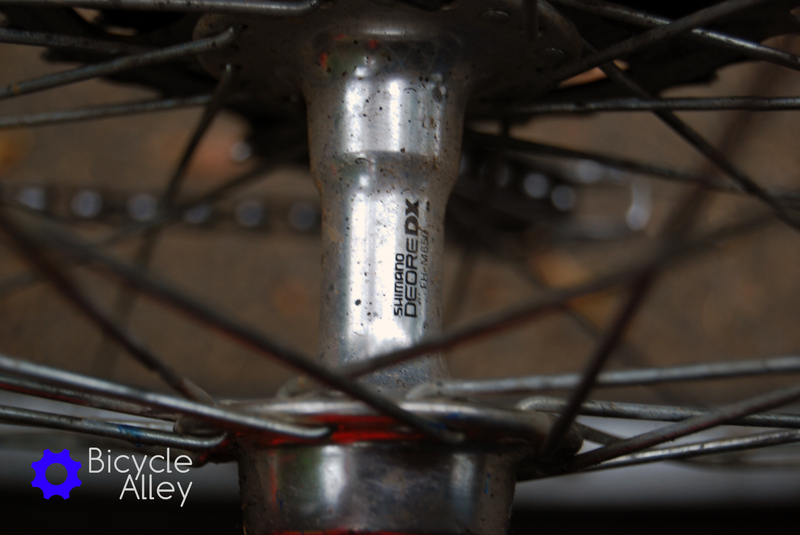 The original Shimano Deore DX rear wheel hub. The damaged seat stays caused by the frame bracket for the Honda GS31 engine. This bike is built like a rock!